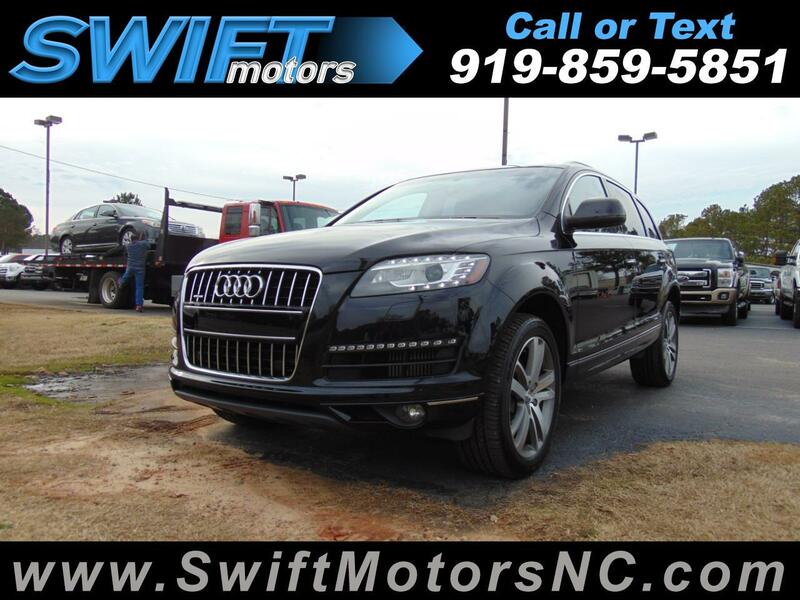 Used 2011 Audi Q7 Prestige for Sale in Raleigh NC 27603 Swift Motors Inc.
2 OWNER PRESTIGE! LOW MILES! LOADED!! NAVIGATION, BACK-UP CAMERA, PANORAMIC SUNROOF, PUSH START, HEATED AND COOLED SEATS, BLIND SPOT MONITOR!